If you’ve spent more than a minute or two with Google’s Chromebook, you’ll notice the nifty little app launcher at the bottom of the screen for Gmail, YouTube, and other Google products. 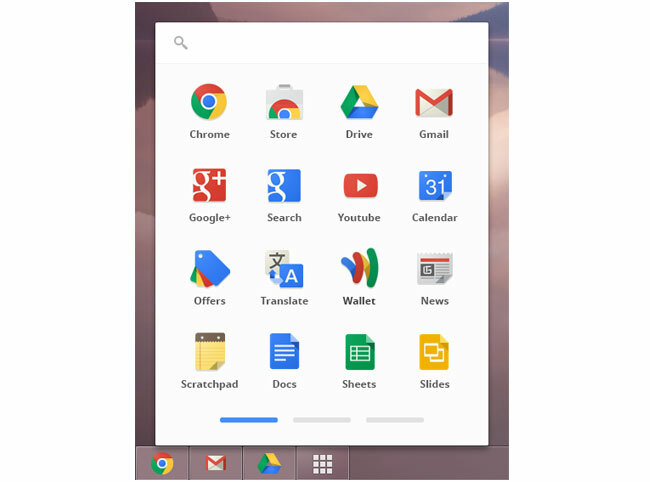 The app launcher lets you run apps without launching the full Chrome browser and the apps work even if the computer is offline. Now The Verge is reporting that the latest developer version of the Chrome browser for Windows includes this functionality. Better yet, Google has confirmed that the app launcher will be included in future versions of the browser for Windows, Mac OS X, and Linux. The app launcher does more than just give you a quick shortcut to your email account. It’s able to use more APIs than the full browser, so developers will be able to tweak it and create additional functionality – think of it like the “Labs” section in your Gmail account and you’ll get an idea of how developers can build on one of Google’s products. Google also confirmed that the combination of the Chrome browser and app launcher will give users an experience that’s nearly identical to using a Chromebook. Considering this news coincides with the company’s announcement of the new premium Chromebook Pixel, perhaps Google is trying to entice Windows, OS X, and Linux users to go all the way and purchase a Chromebook of their very own.